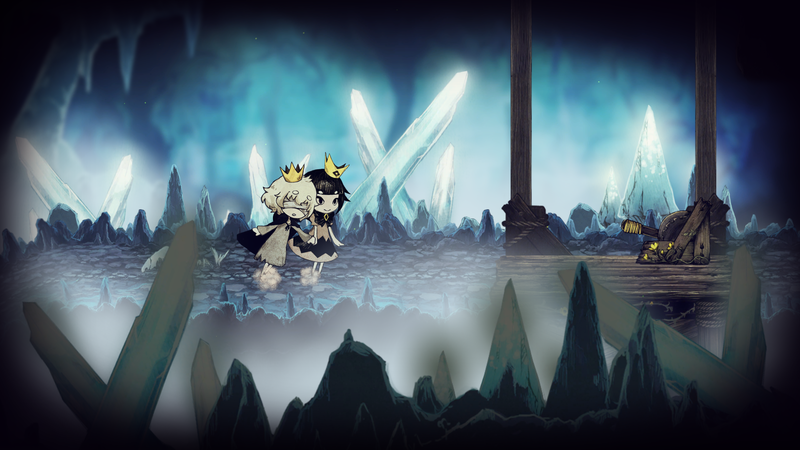 The Liar Princess And The Blind Prince is originally from Japan, made by Nippon Ichi Software, released almost a year ago in 2018. It was ported outside of Japan and released in beginning 2019. I got my hands on this early, took a cup of tea, got comfy on the sofa and started the game. What got my eyes was the original looks of the game. Everything seemed so storybook-like and sweet, but yet so dark and mysterious. 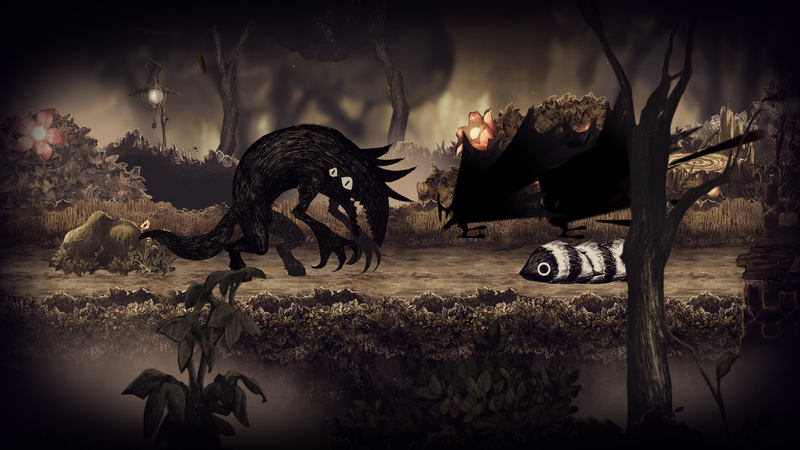 The story is lovely, but dark at the same time in The Liar Princess And The Blind Prince. It tells of a young blind prince boy and princess/monster girl and their journey through the woods to find a witch who could give back prince’s sight. He got blind because of the princess tore them with her monster claw and now she wants to help him. The story keeps player interested from start to finish. What I found dark was sometimes things getting gory and creepy, even. The game being originally Japanese and I could see many Japanisms in it. 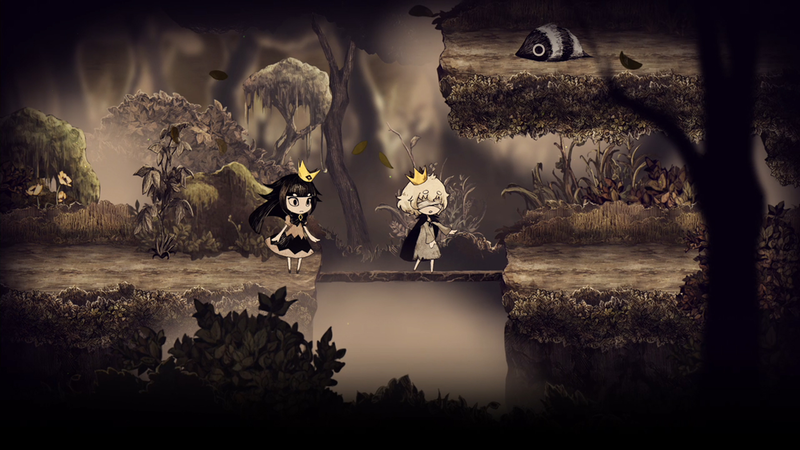 The Liar Princess And The Blind Prince is 2D platform to match the storybook theme. Having very simplistic gameplay and controls works in this, as the story seems to be more visible. Besides running and jumping the princess can transform herself between girl and monster. The monster form is big and it gets rid of enemies, but then she can’t take the prince’s hand as he has to be guided all the time. Only the girl can move him, but then they’re vunerable. 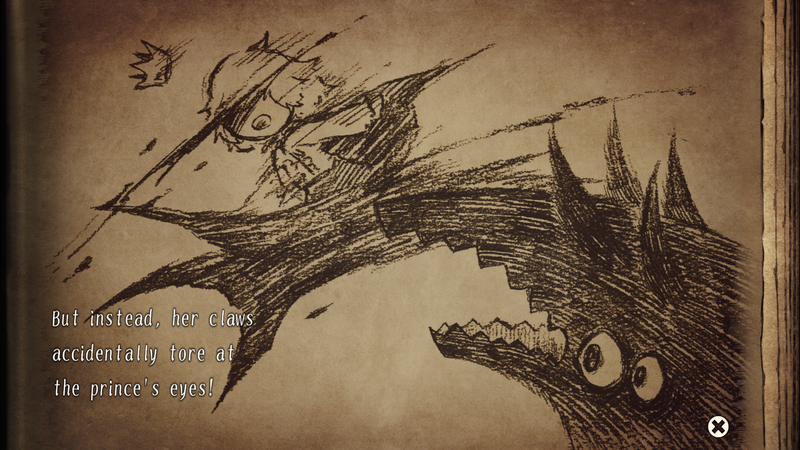 These aspects were used in the gameplay and in the puzzles, as well. Even if everything was simplistic the controls had little difficultiness in it. It reminded me of some old NES platform game as the controls being little clunky. The Liar Princess And The Blind Prince looks like a storybook. It’s sweet with dark tone. Everything looks like cut-out pencil work on a painted background, making together very unique look. Being big and bold certainly makes everything simple and lack of bright colours gives it a dark twist. I like how the game have its unique style and certainly stands out in the crowd. Some stages had the same background music and after playing level after level and listening the same simplistic tune with headphones on, it got on my nerves sometimes. 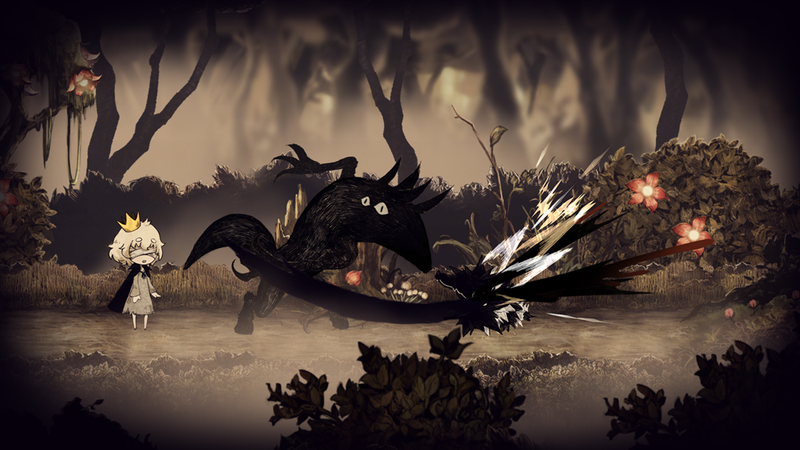 The Liar Princess And The Blind Prince is voice acted, but only with a narrator who tells the story as it goes on. It’s a Japanese woman speaking with English text. It was really nice to listen her soft voice making me sleepy few times. Playing is not difficult and I don’t think it’s meant to be. There were some puzzles that made me scratch my head, but overall everything was decent. 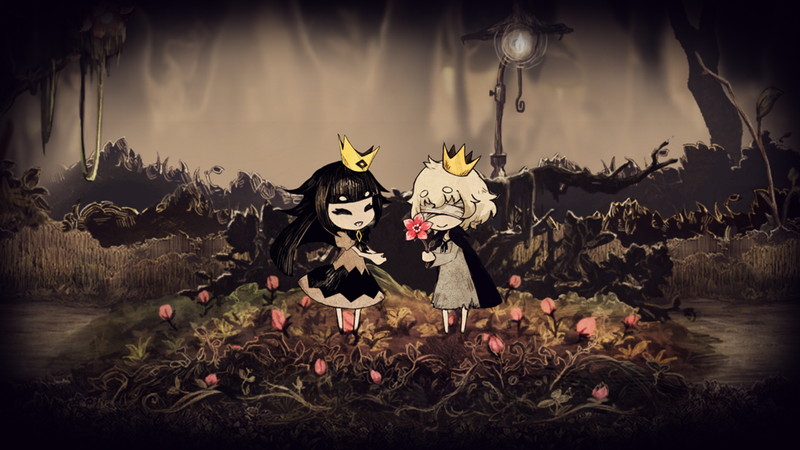 The Liar Princess And The Blind Prince has unique style and it shows all over. It’s nice to have these kind of games outside of Japan, every now and then. I can surely recommend this to anyone who likes indie style games or wants to play something different. The darkness of the story and art is good thing to have, because it gives lots of reason to it. Having made of looking like kids game, but meant for older players definitely makes it little twisted. It seems so sweet and innocent, but having some brutality makes it more adult and serious. I really can’t say any extremely negative about this piece. It’s well done in its own special way. Thanks to NIS America for providing the review copy.